Botswana’s Makwala 400m final ‘withdrawal’? 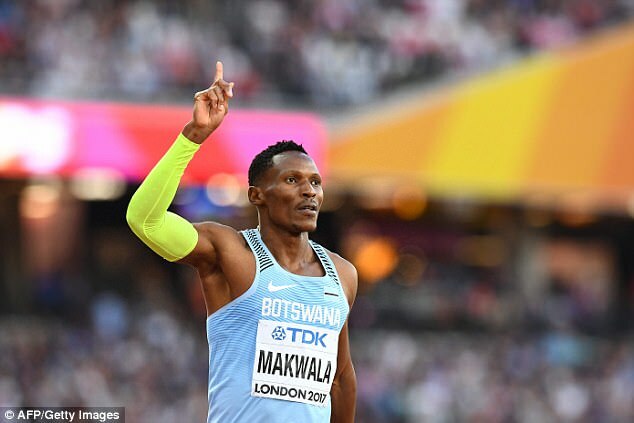 Botswana’s medal prospect Isaac Makwala has withdrawn from Tuesday night’s 400m final following an outbreak of norovirus which is spreading at the London 2017 World Championships. Competition organisers announced on Monday night that several London 2017 competitors – staying at the same official team hotel – had suffered gastroenteritis. A spokesperson for the Tower Hotel on Tuesday morning insisted it was ‘not the source of the illness’. And Public Health England on Tuesday said around 30 people had been affected, with laboratory testing revealing norovirus in two cases. Public Health England later said that it believes there are connected cases at other hotels accommodating those involved in the championships, which are taking place at the London Stadium. And the IAAF, athletics’ world governing body, announced 400m star Makwala was out of Tuesday’s final before the evening session began. ‘Isaac Makwala (BOT) was withdrawn from the men’s 400m (final) due to a medical condition on the instruction of the IAAF medical delegate,’ an IAAF bulletin read. Makwala had been given medical dispensation to withdraw from the 200m heats on Monday night after reportedly suffering food poisoning. Without a valid reason for pulling out, he could have been disqualified from the 400m final – an event he will now miss anyway.